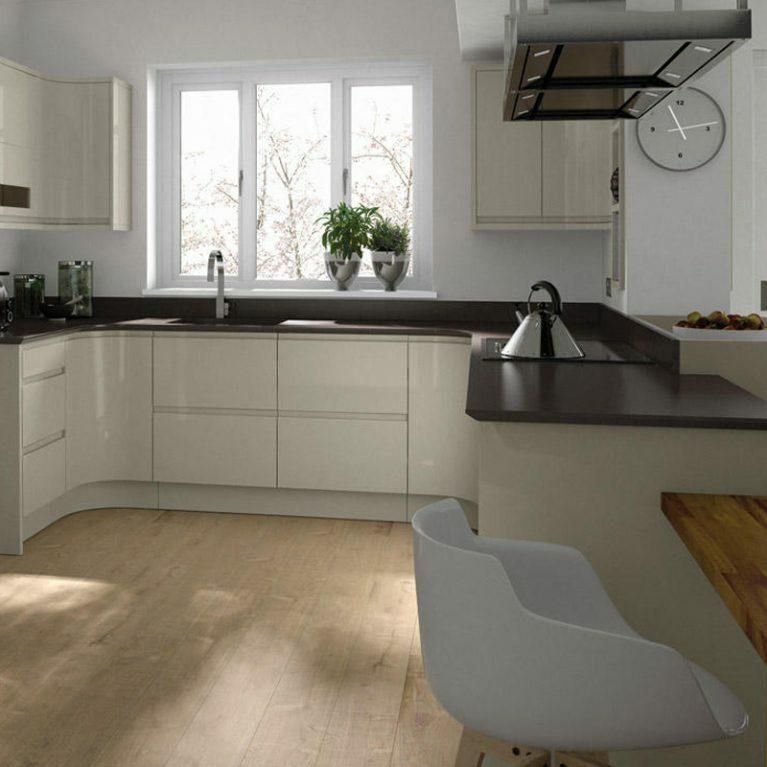 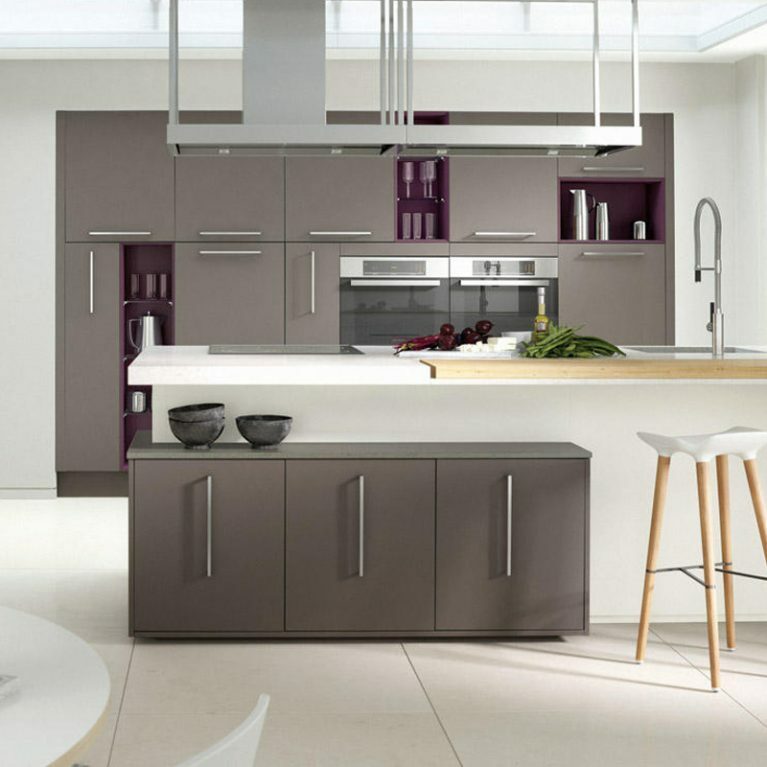 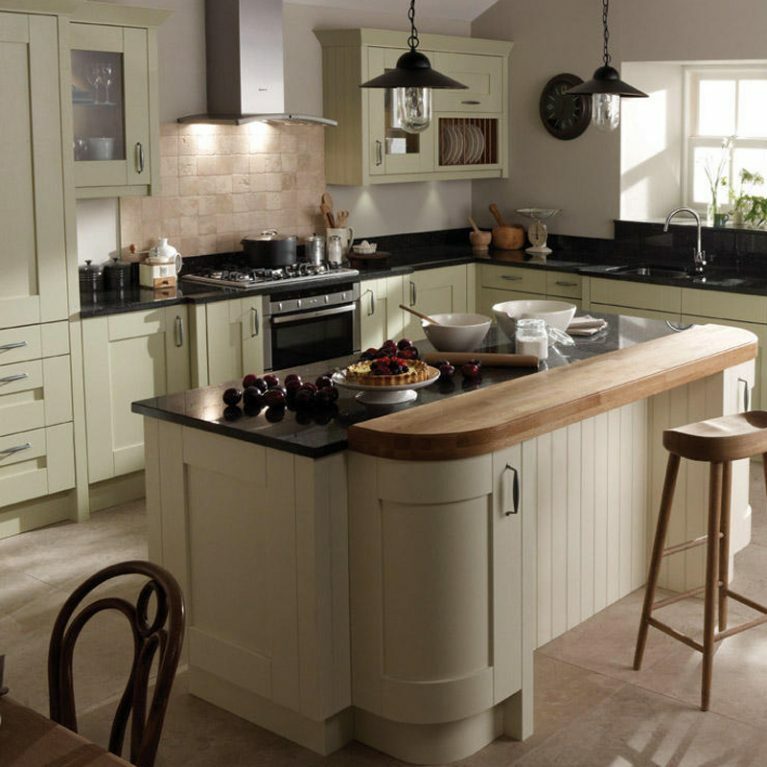 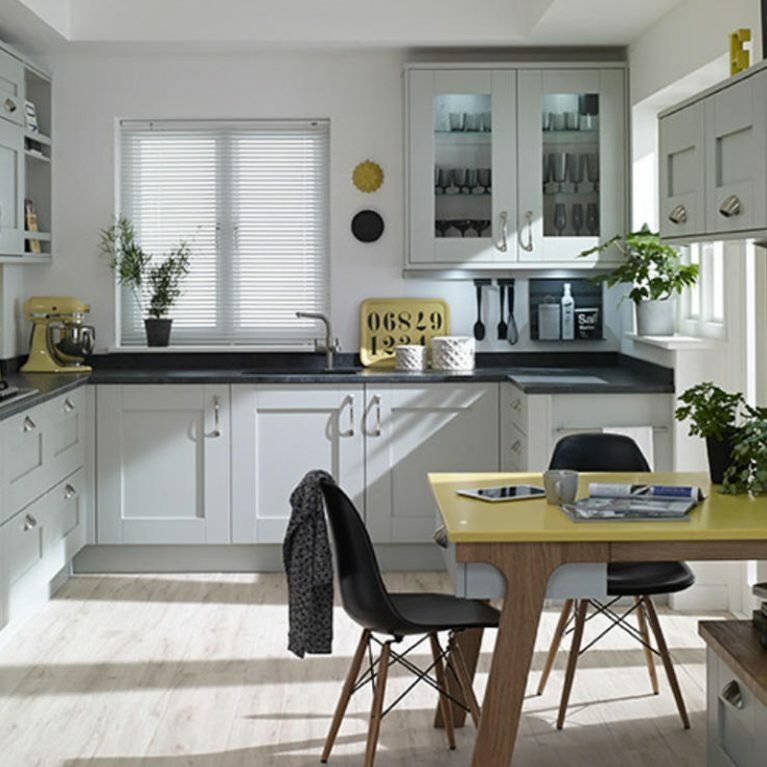 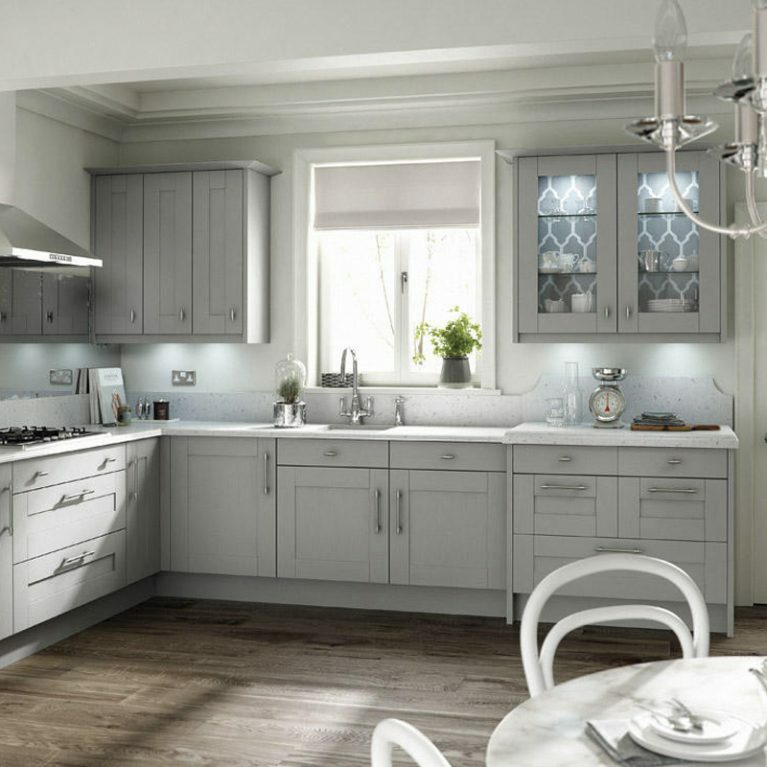 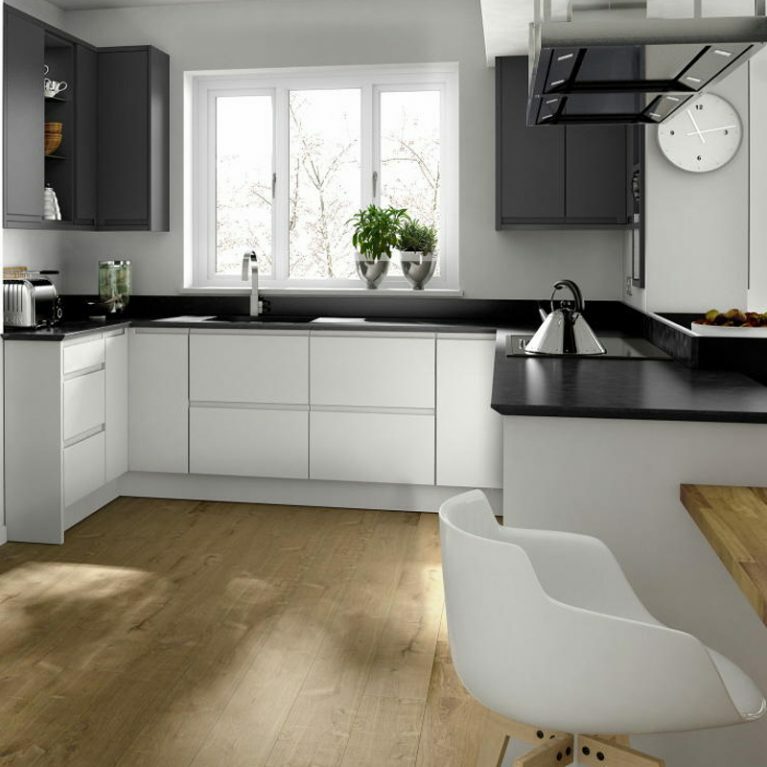 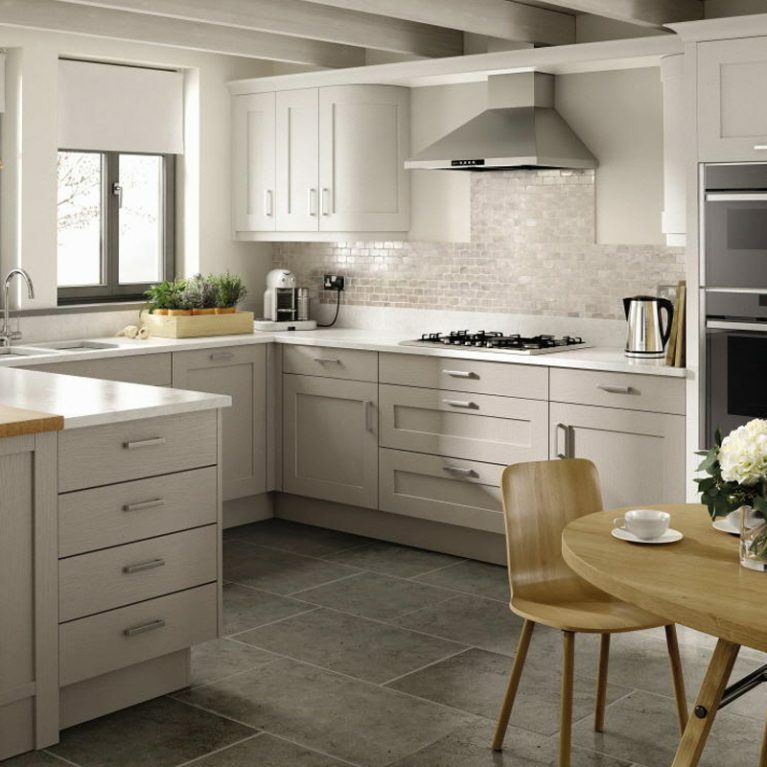 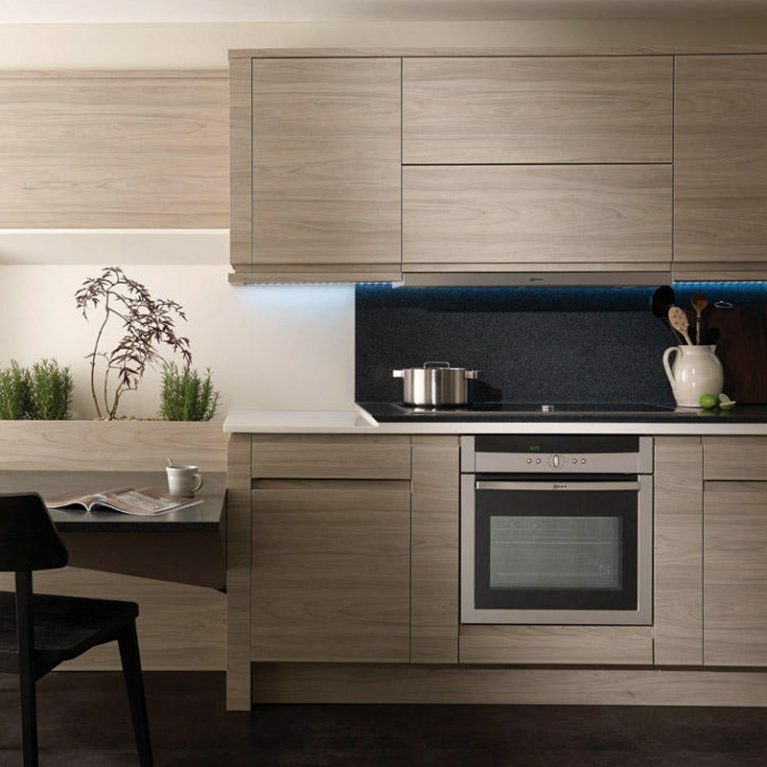 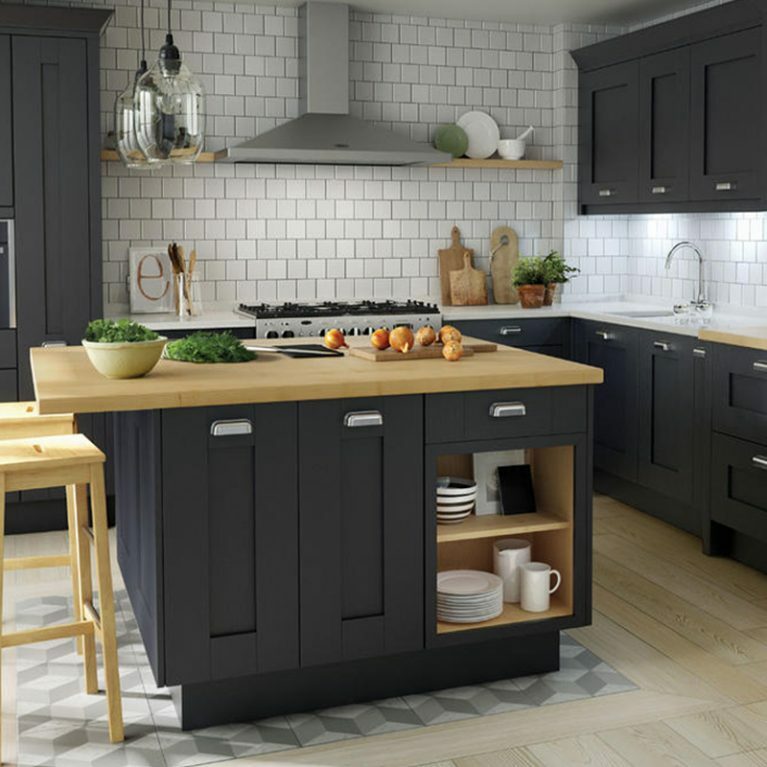 If you want to add a little character and style to your new kitchen design, then you need look no further than the beautiful Feature Character Graphite kitchen doors. 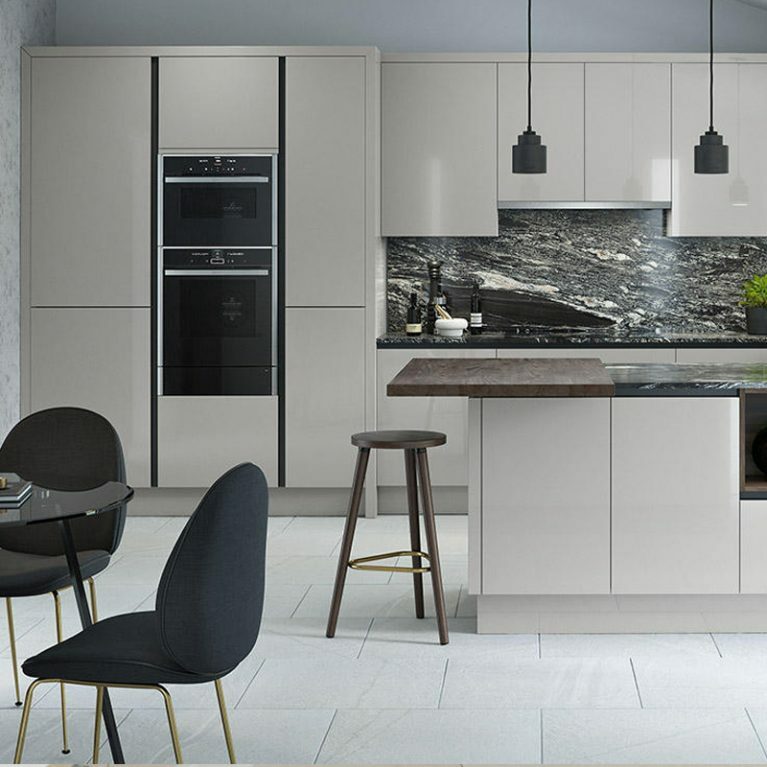 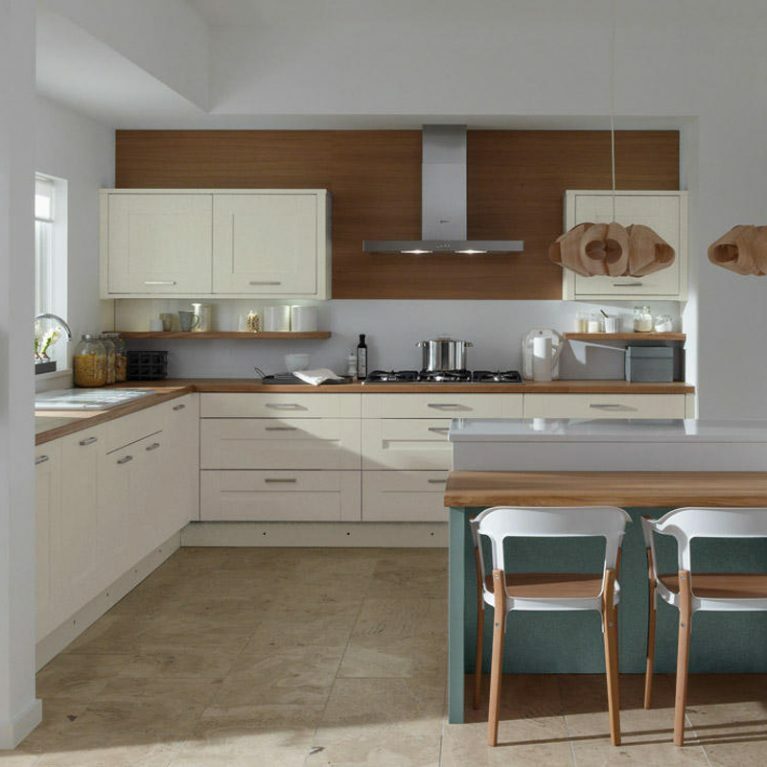 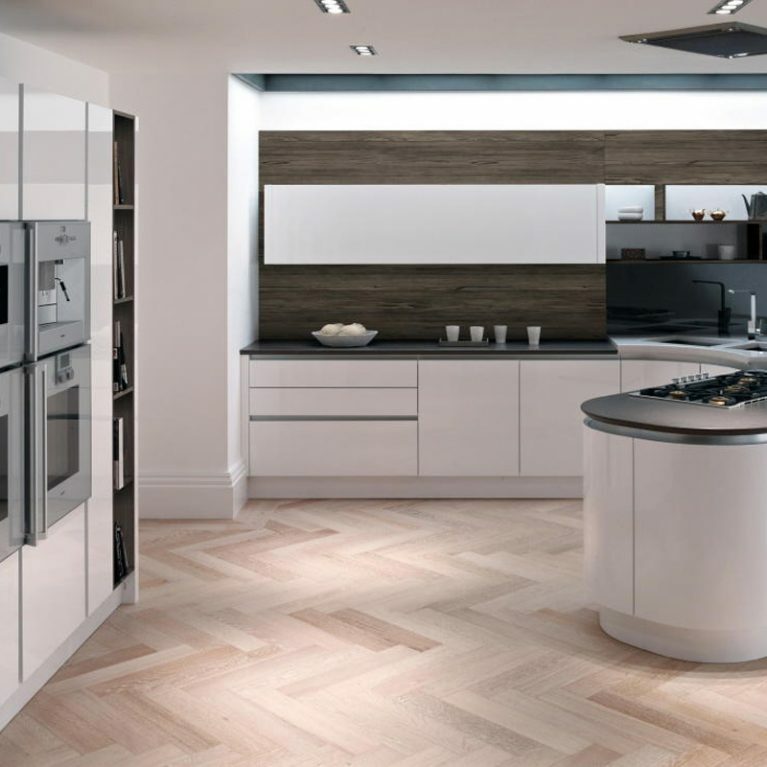 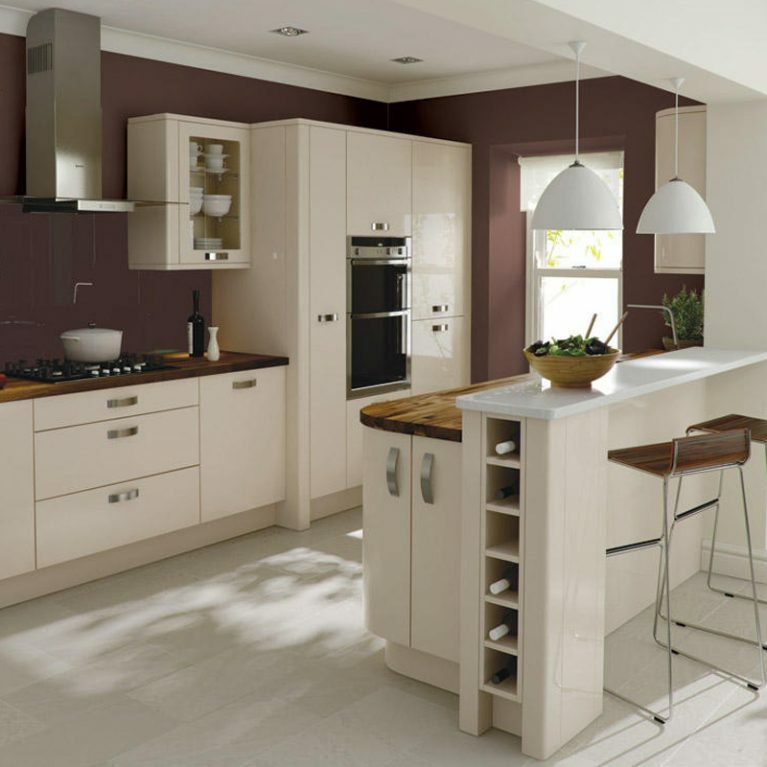 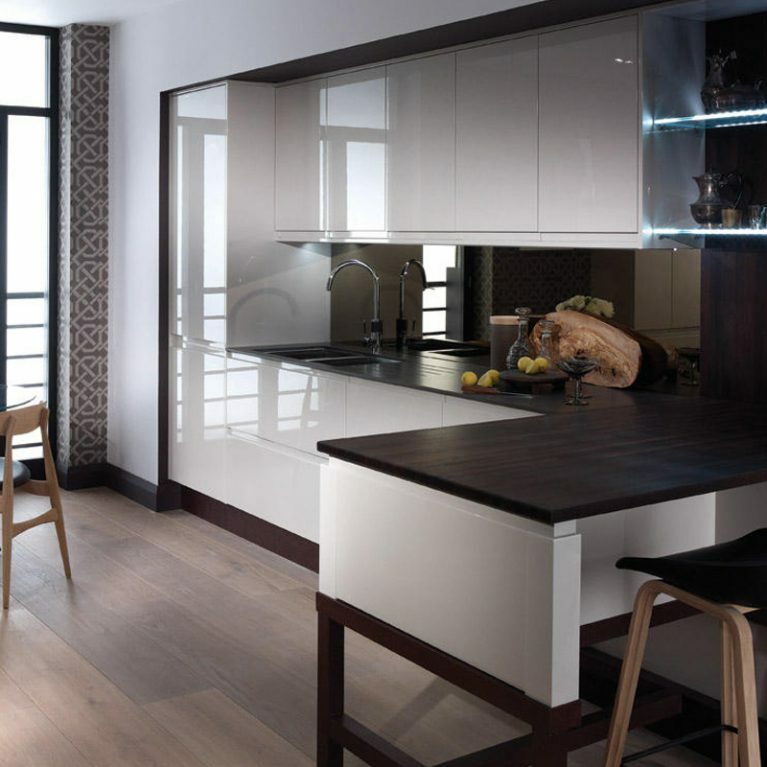 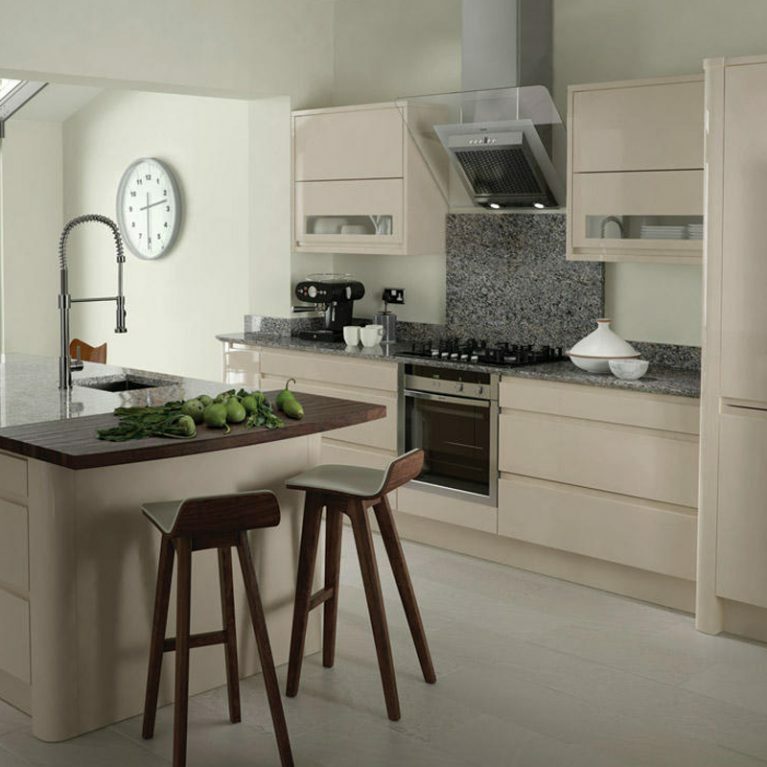 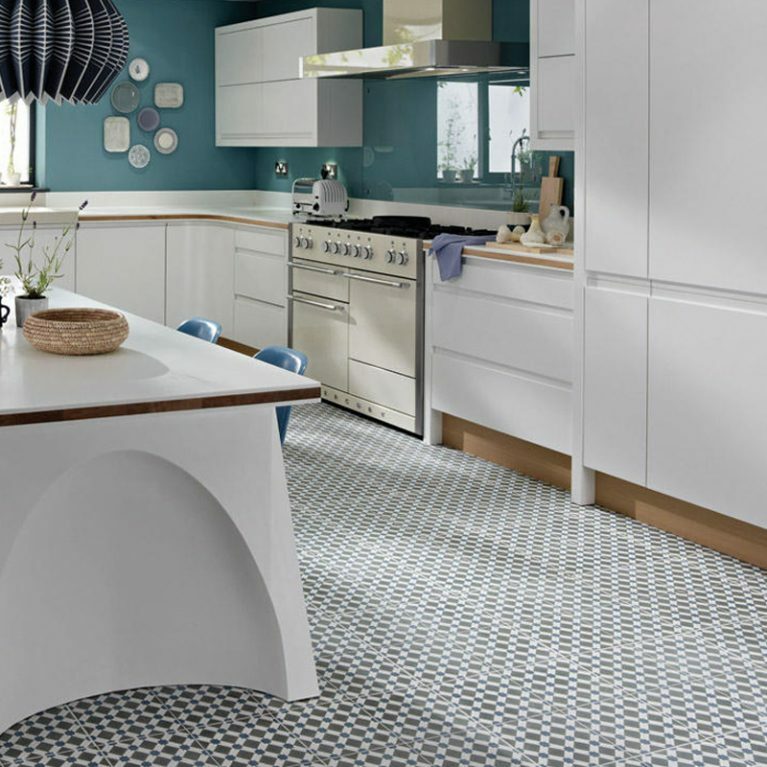 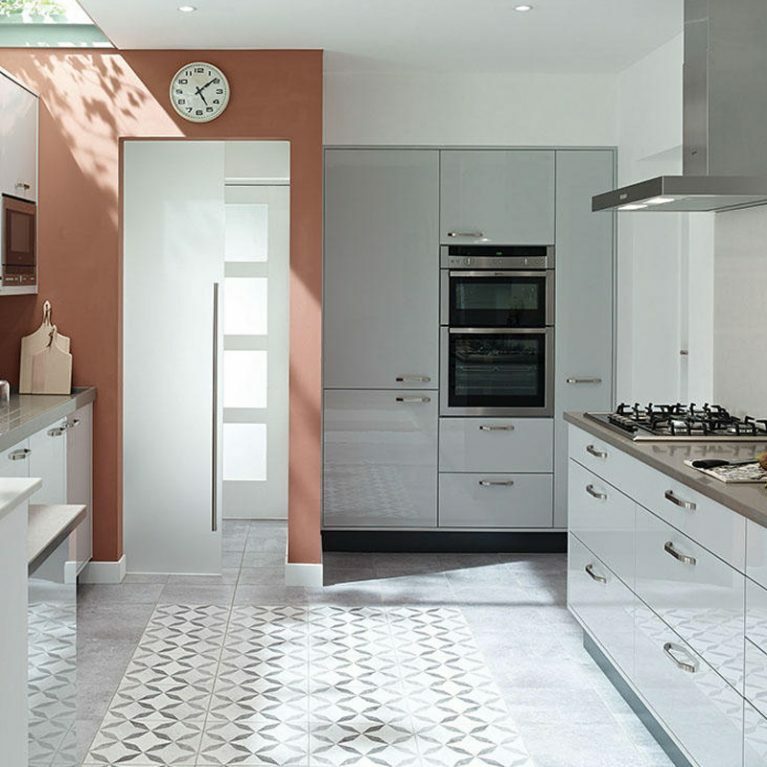 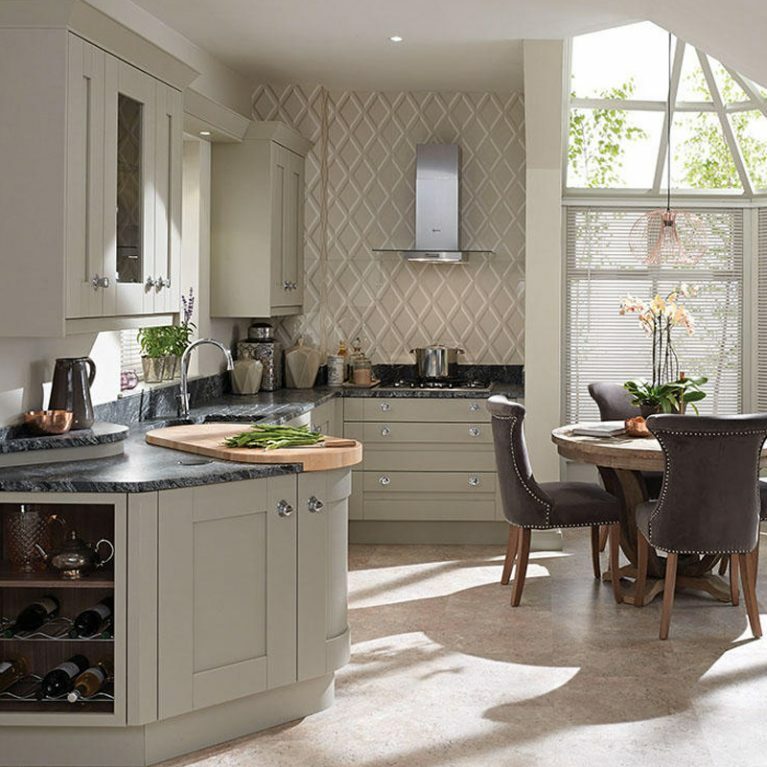 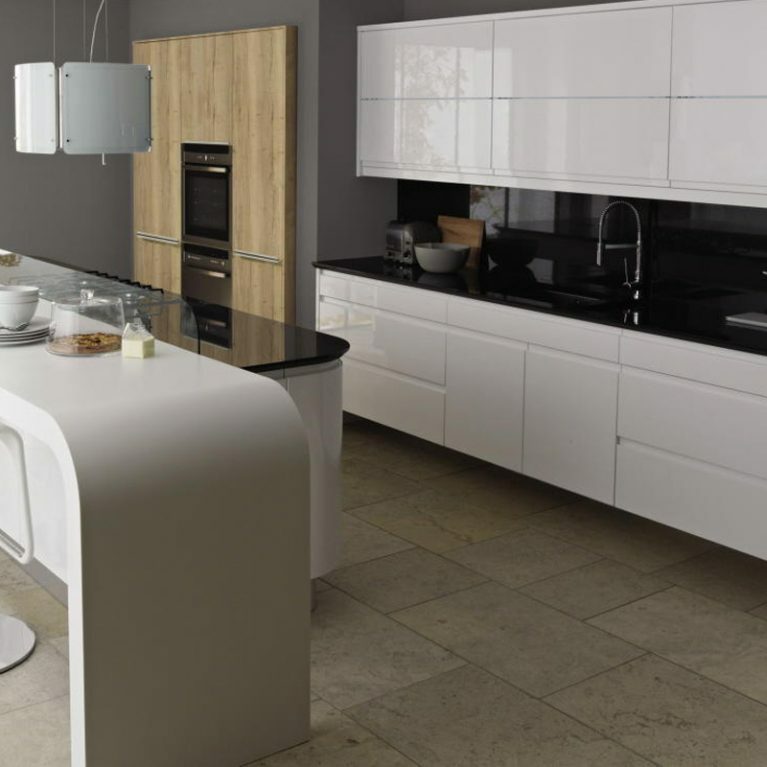 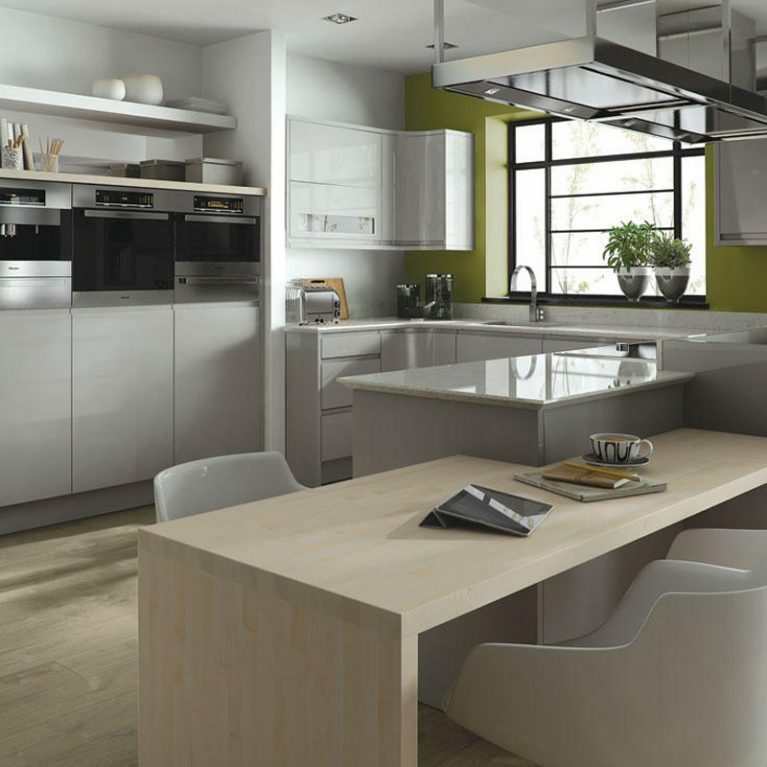 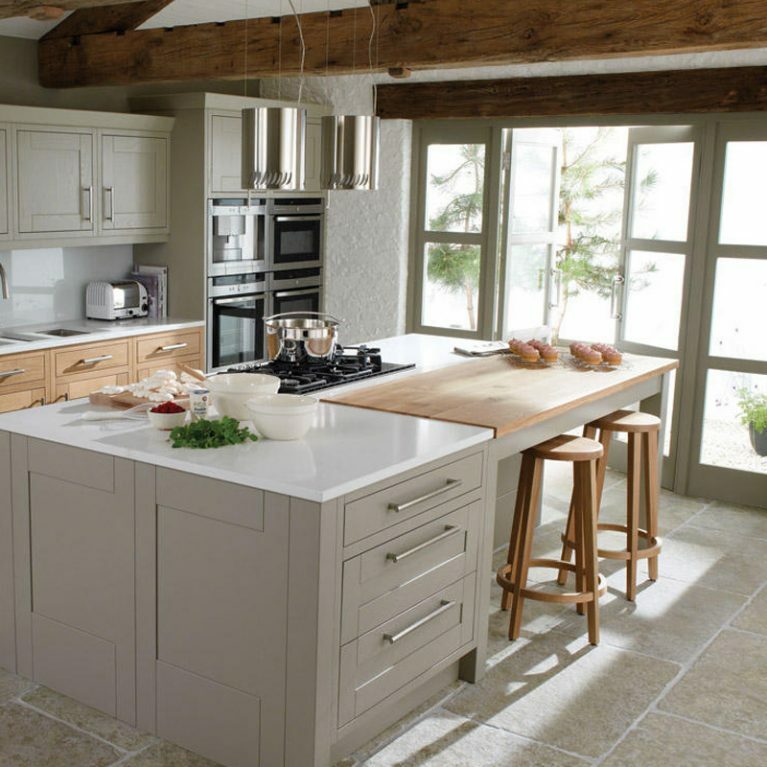 These stunning square-edge feature doors are the perfect pop of pizzazz for your kitchen, adding a gorgeous and textured finish that will be make your kitchen simply pop. 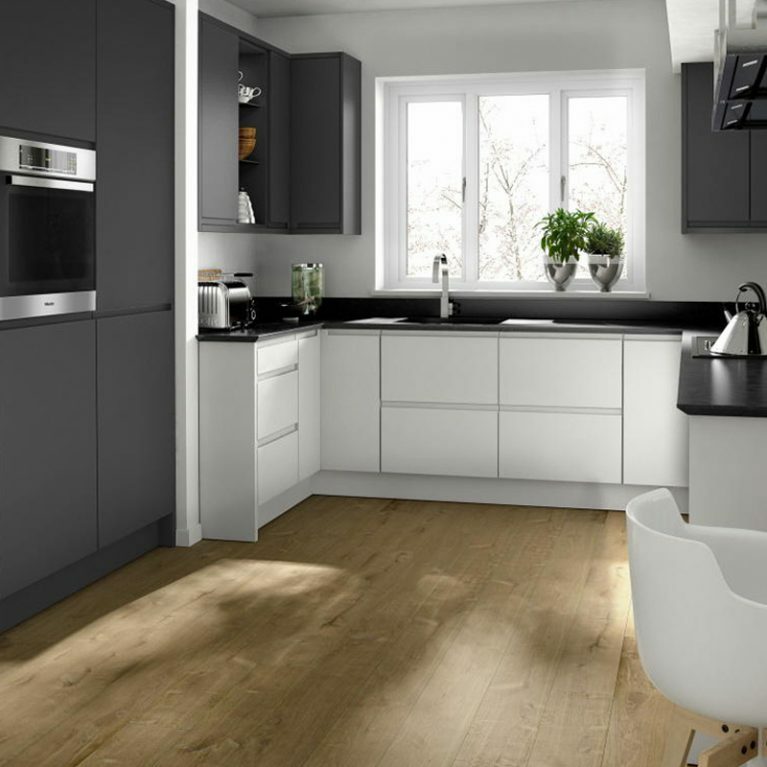 A Feature Character Graphite kitchen is one which is absolutely brimming with personality. 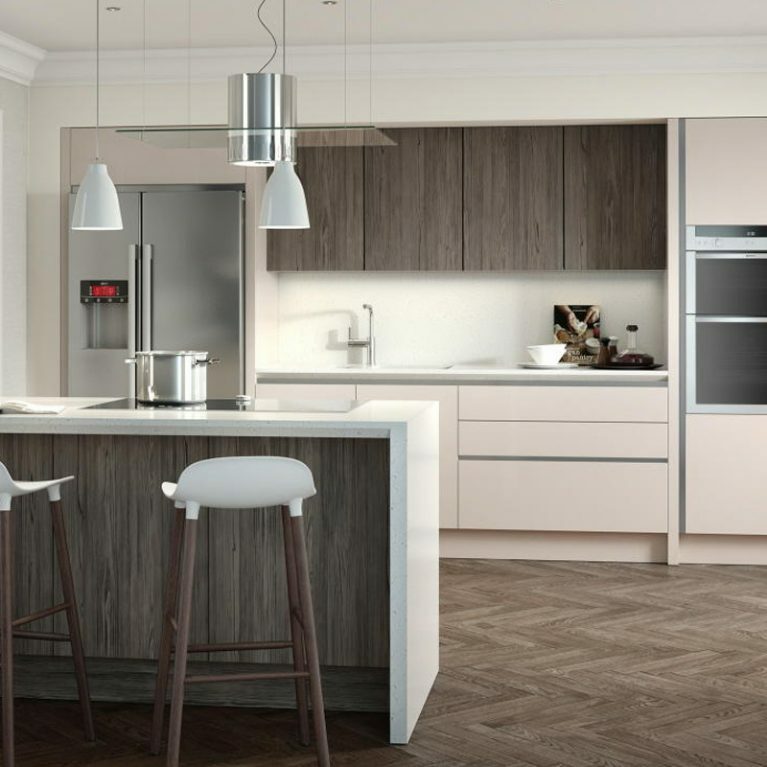 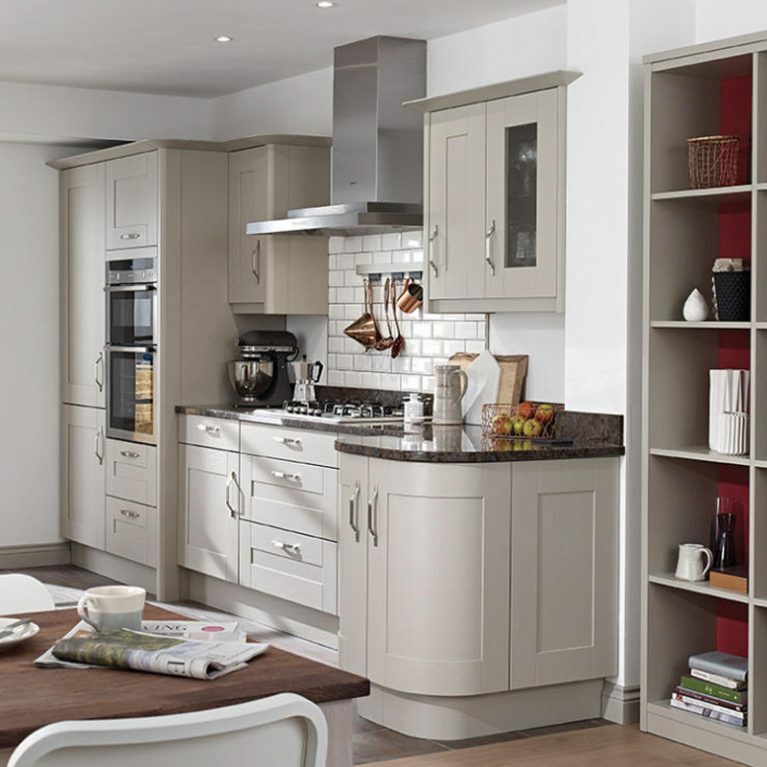 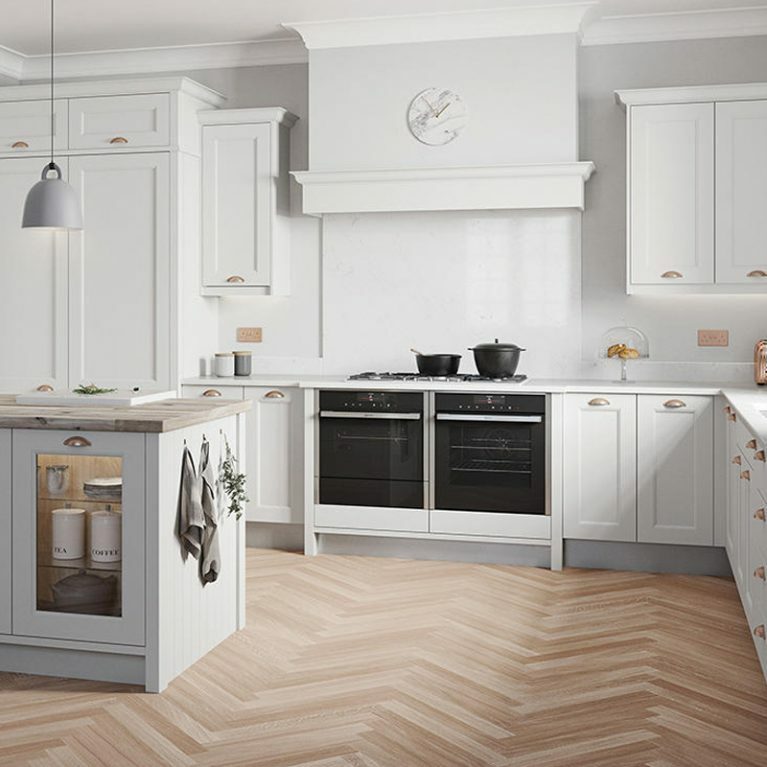 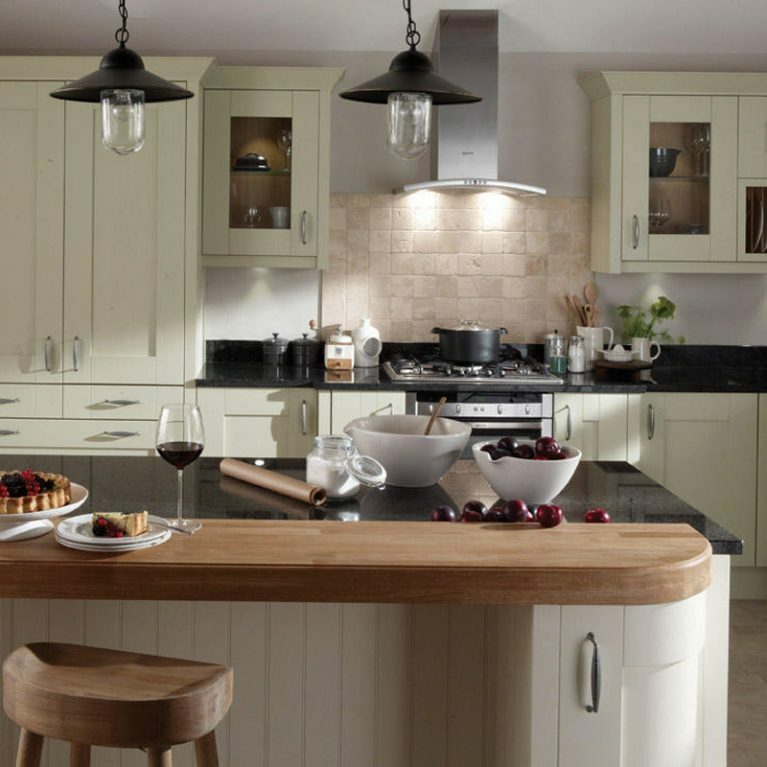 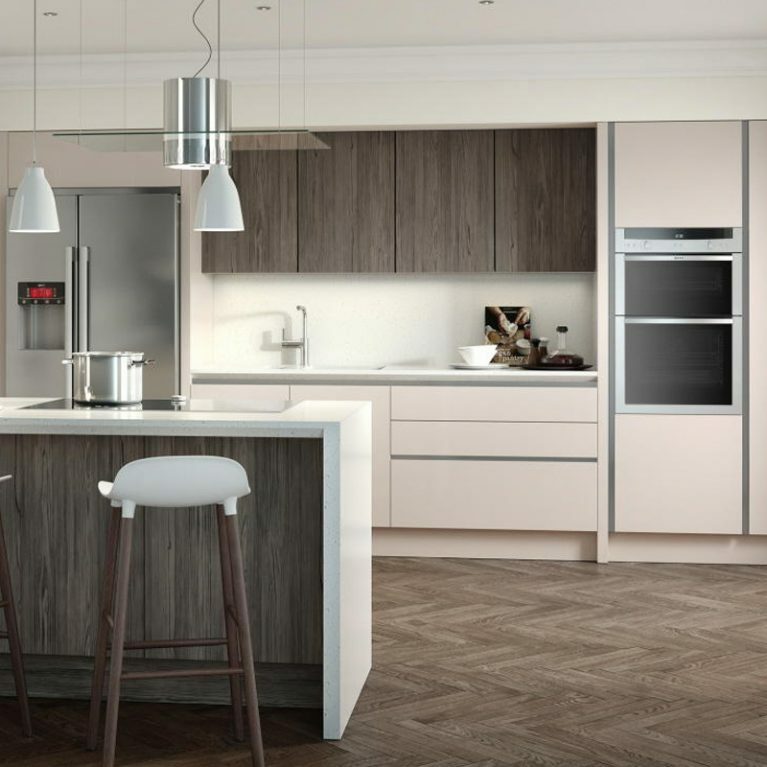 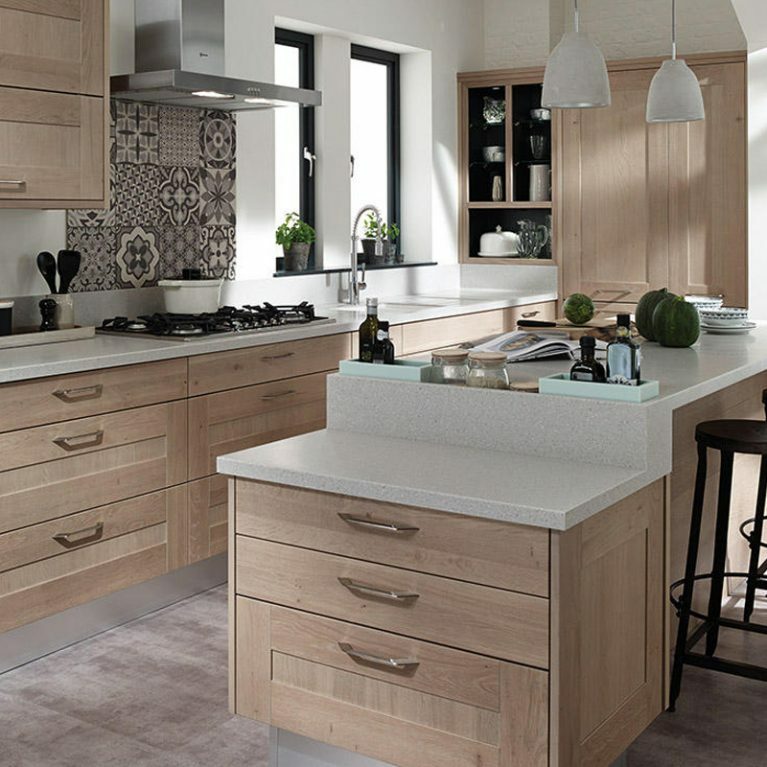 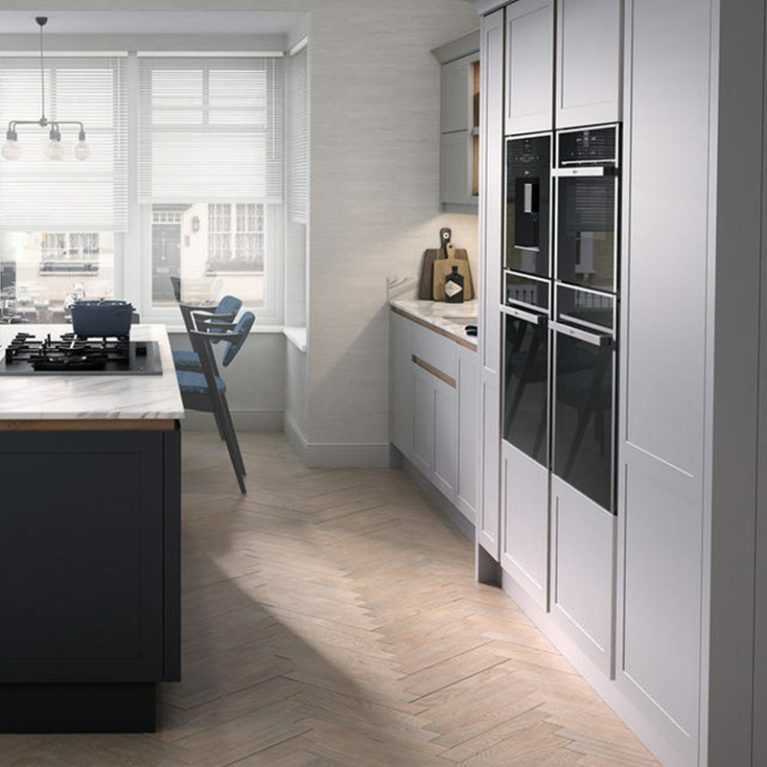 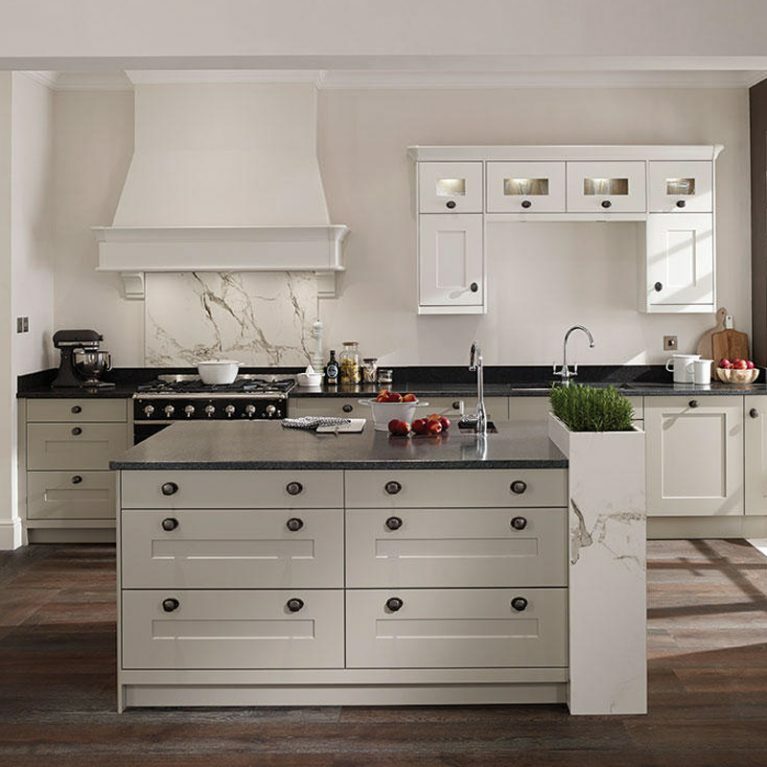 These wonderful kitchen doors have a striking textured wood effect, utilising a host of stunning grey hues to create a wonderful finished result that will set your kitchen apart. 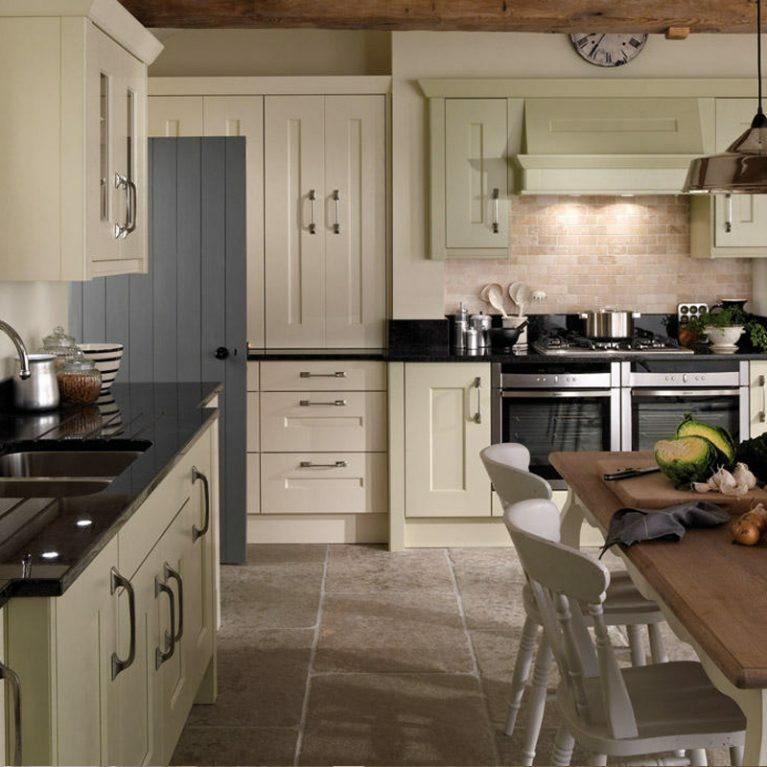 The square edge accent door in the Feature Character Graphite finish will be a perfect match for your dream kitchen. 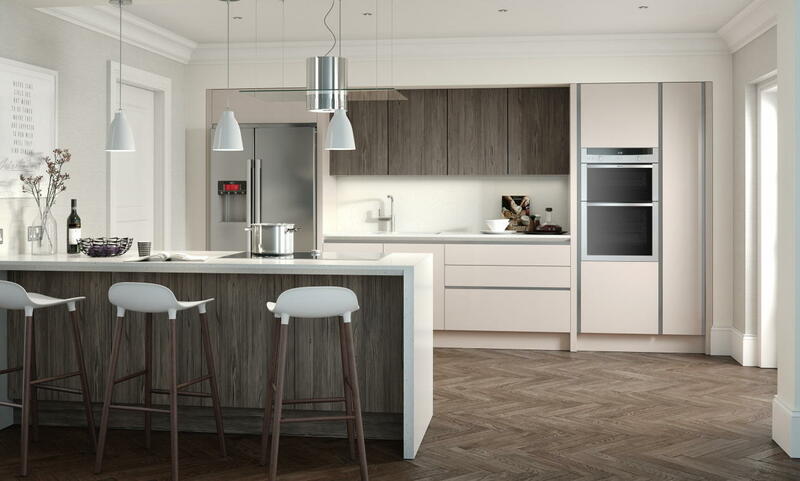 The handleless design offers a smooth and seamless end result, which offers a modern ambience that will remain on trend for years to come. 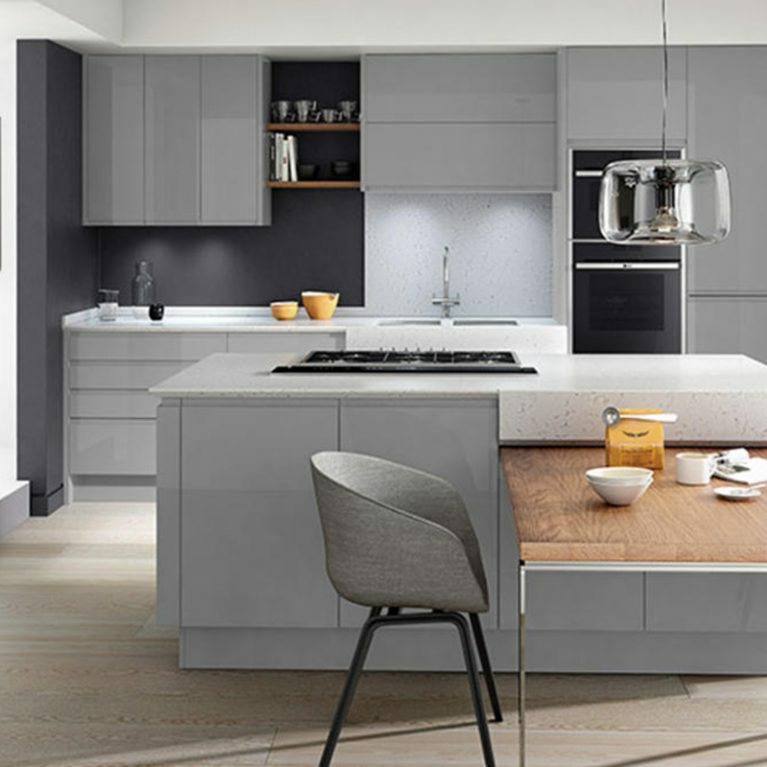 Grey is the primary colour in the Feature Character Graphite kitchen, which though striking on its own, also blends seamlessly with a host of other colours, allowing you real freedom when it comes to designing the rest of your kitchen. 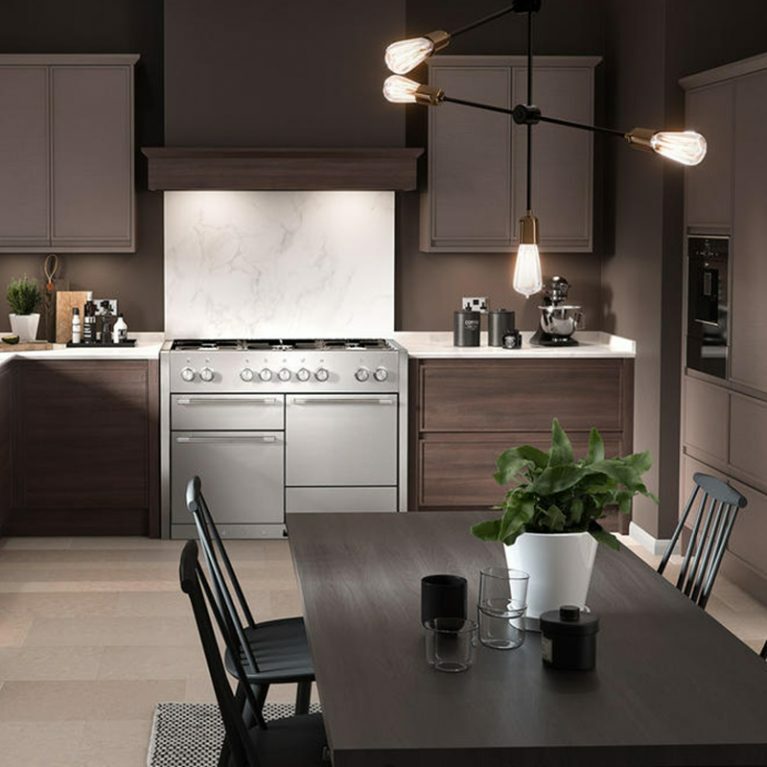 Perfect to mix and match with a range of lacquered colours, you can craft a kitchen space which perfectly needs your needs and tastes, allowing the graphite kitchen doors to be the standout feature in the heart of your home. 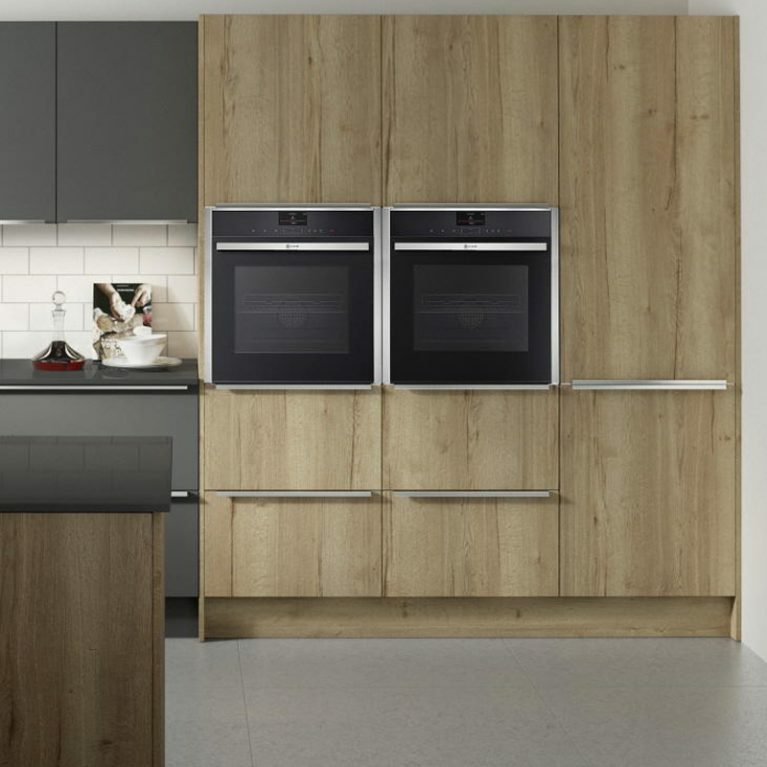 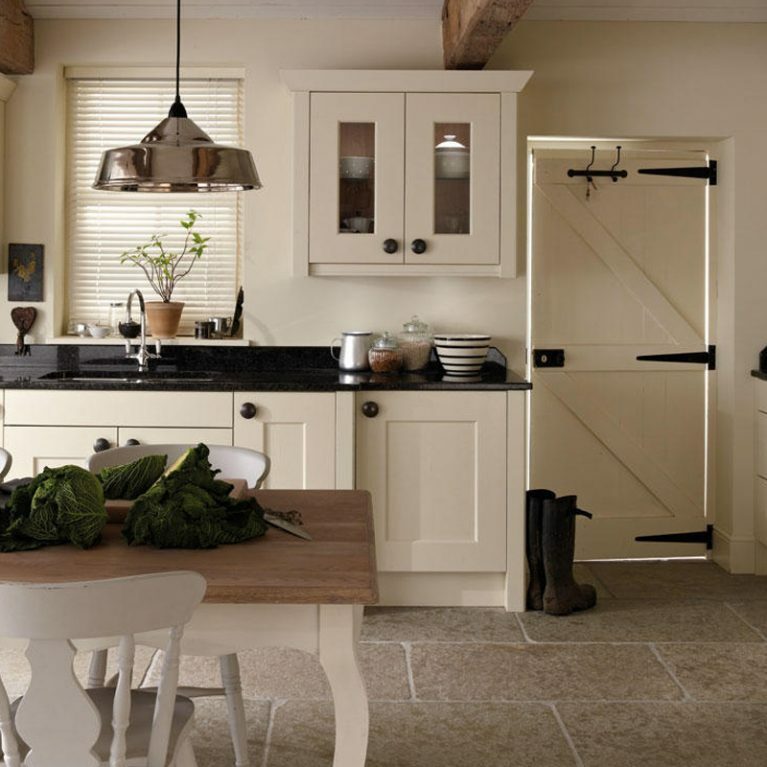 Available in a range of sizes, the Feature Character Graphite kitchen doors will fit into your kitchen with ease. 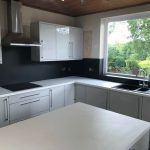 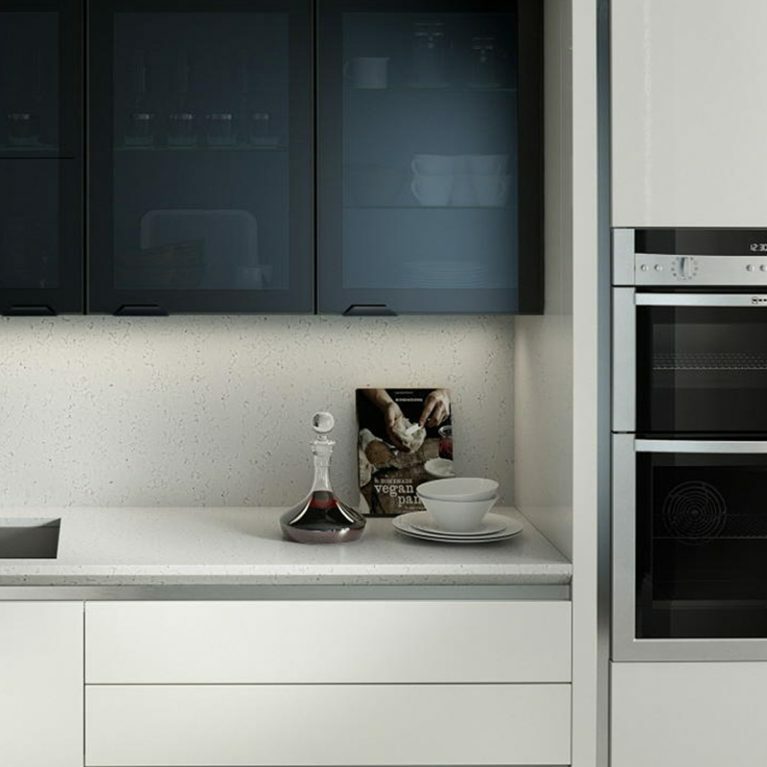 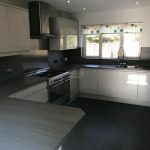 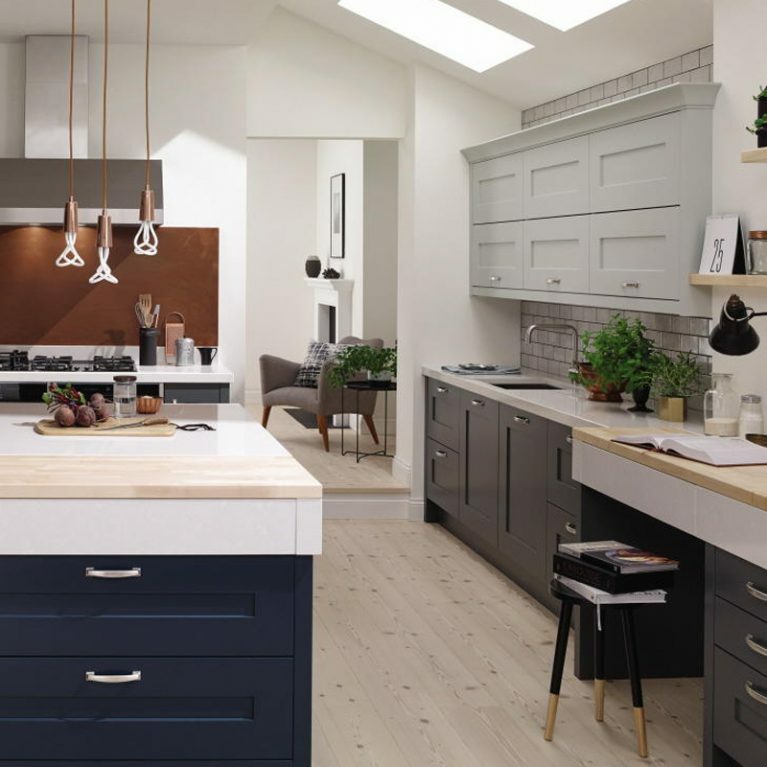 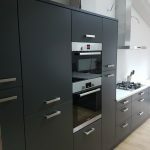 Whether you want a complete new kitchen from scratch with these as the centrepiece, or simply to spice up your existing kitchen with some fresh kitchen doors for a totally new look, these gorgeous graphite kitchen doors are just the ticket. 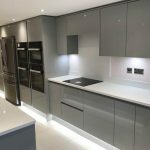 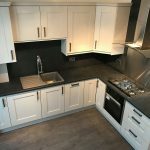 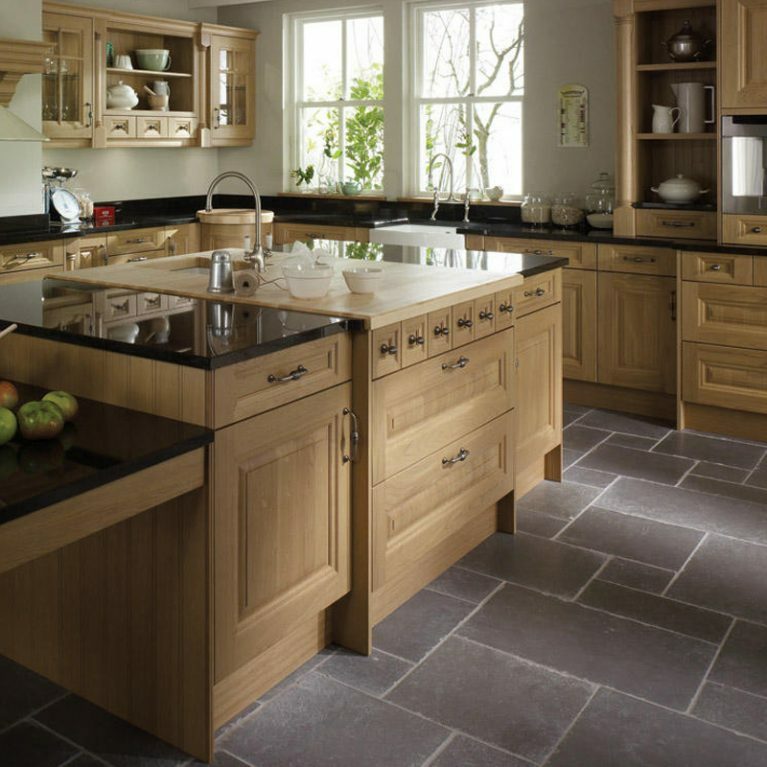 Get in touch with Number One Kitchens Manchester today to get a quote on your brand new Feature Character Graphite kitchen. 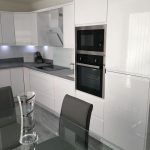 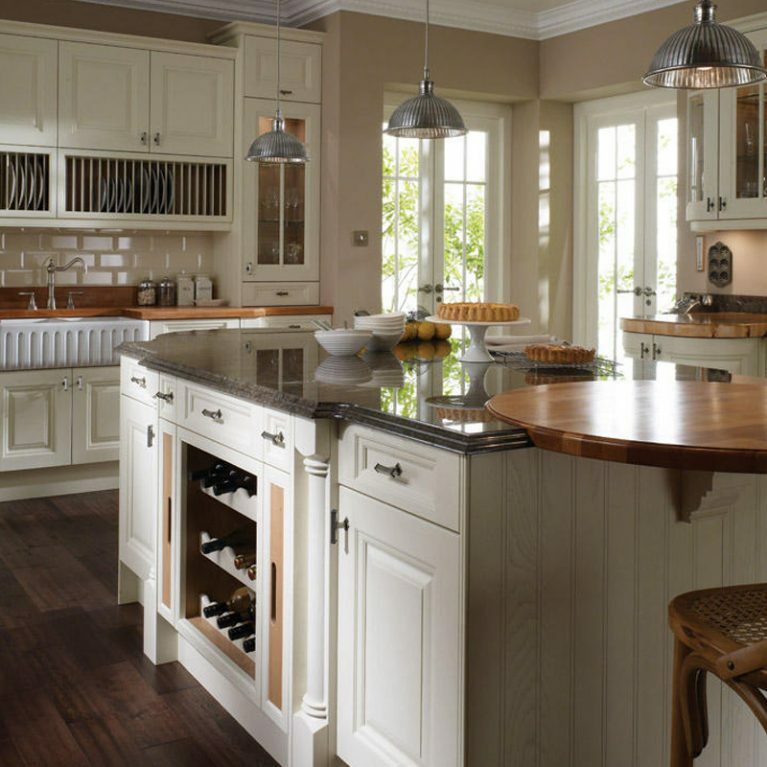 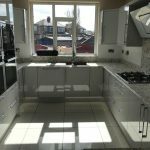 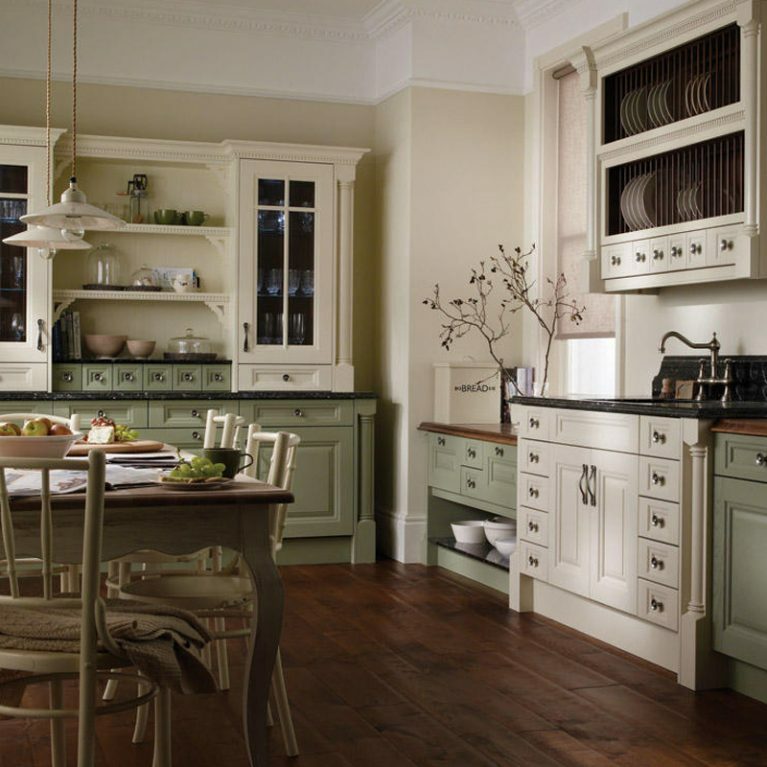 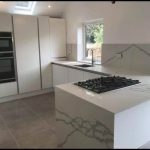 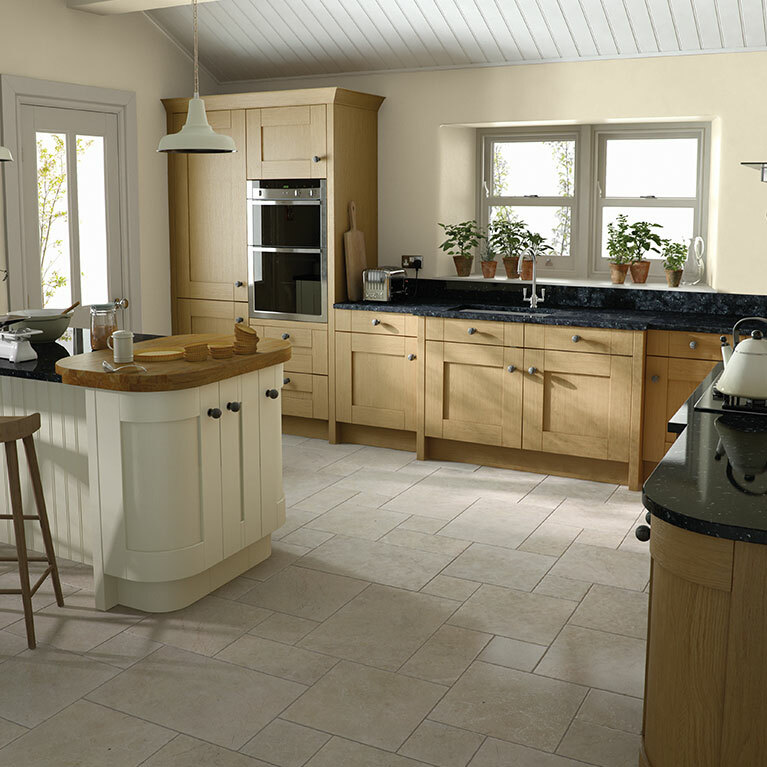 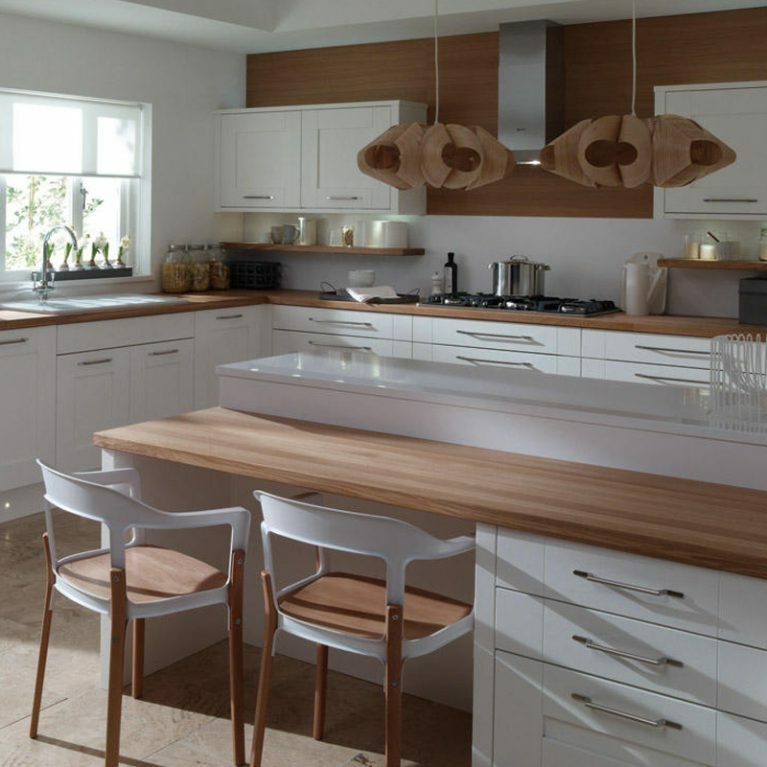 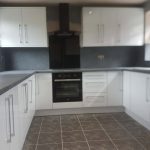 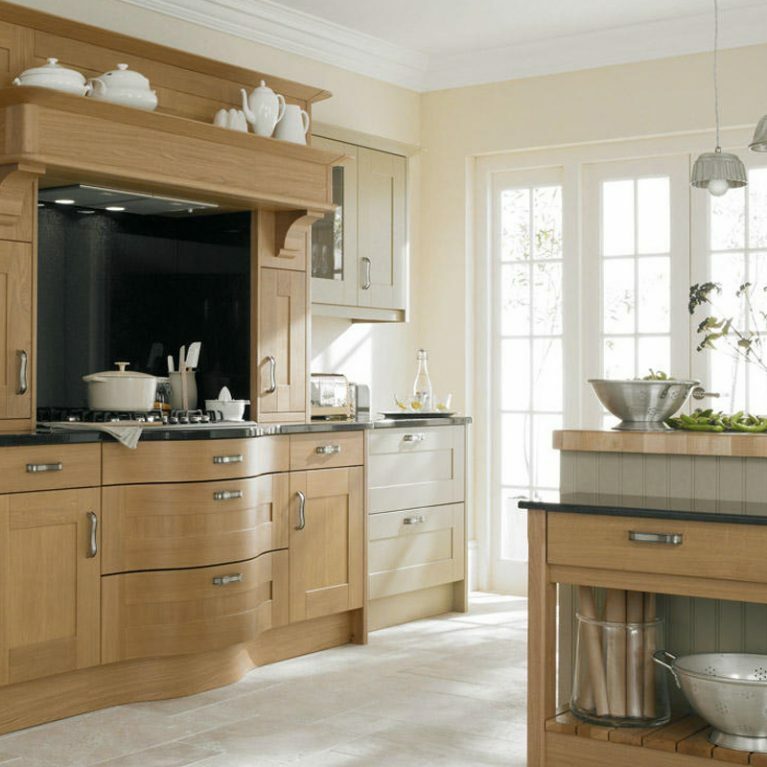 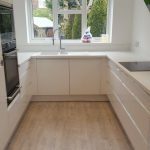 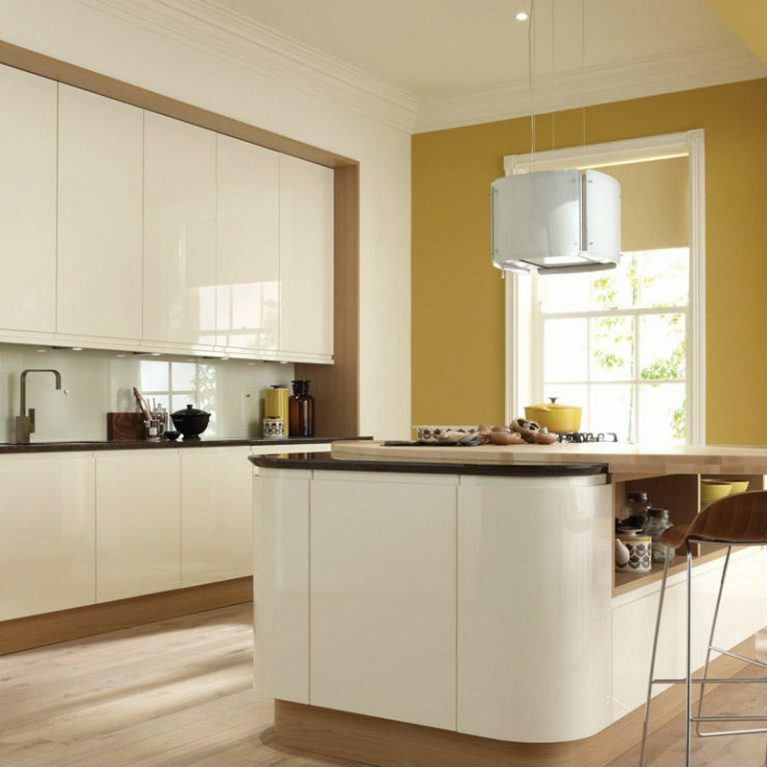 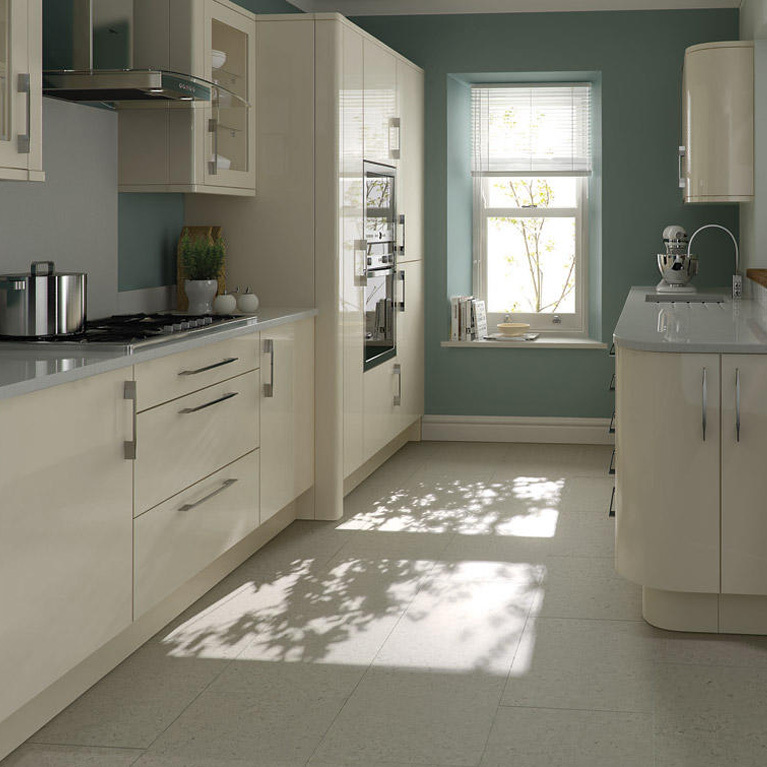 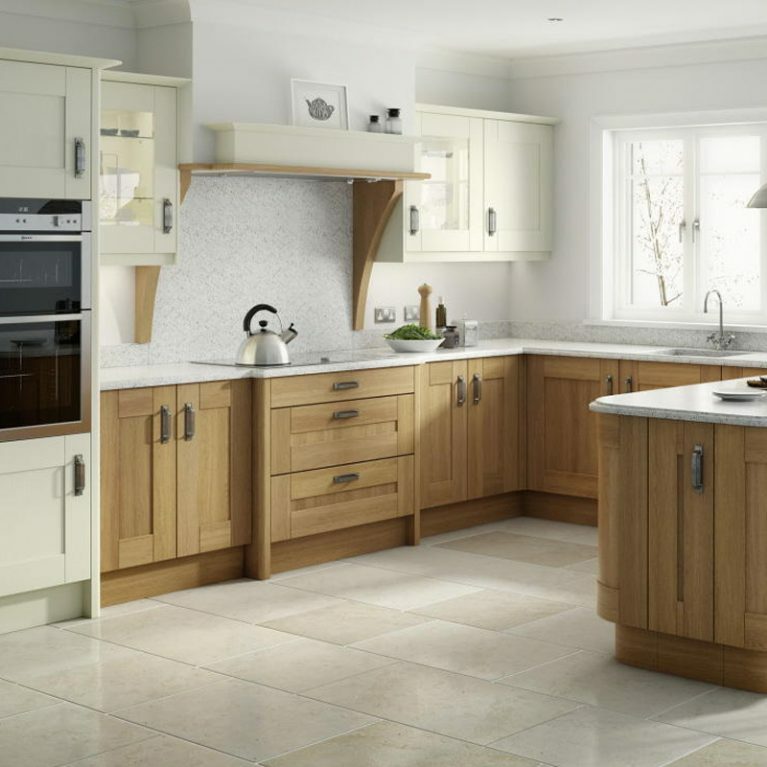 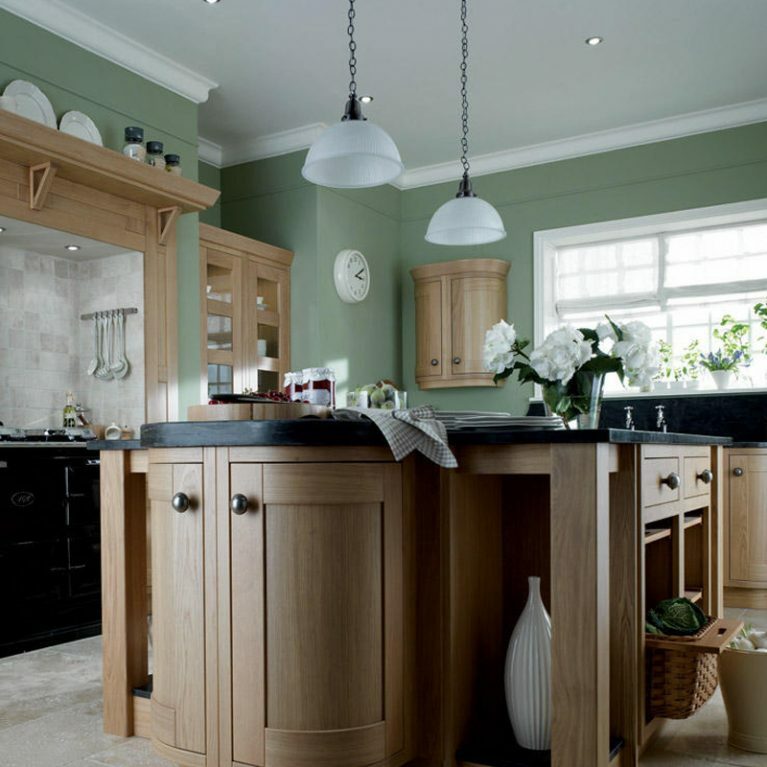 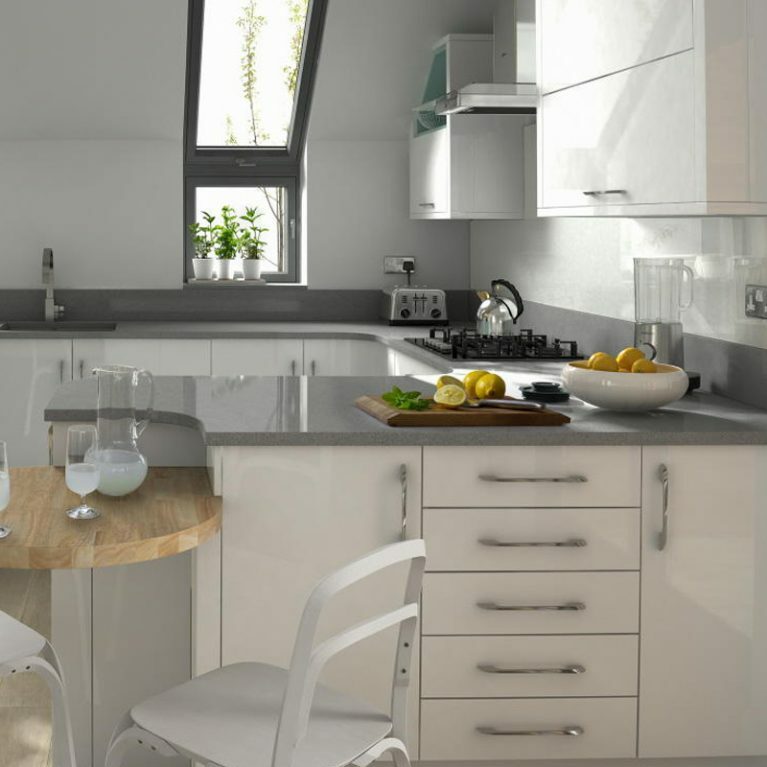 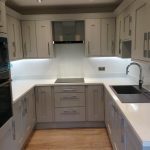 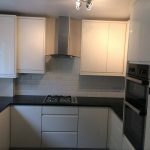 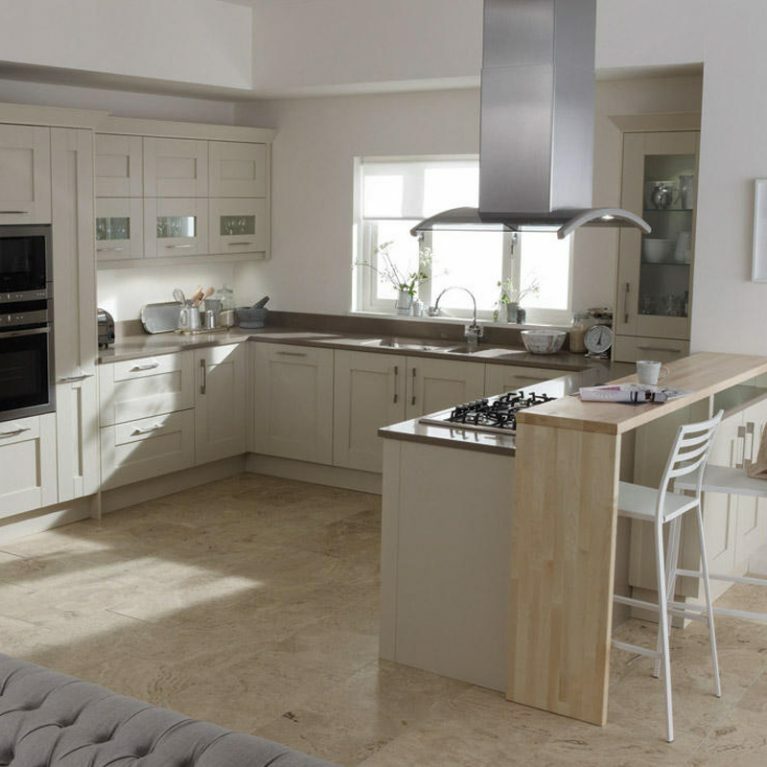 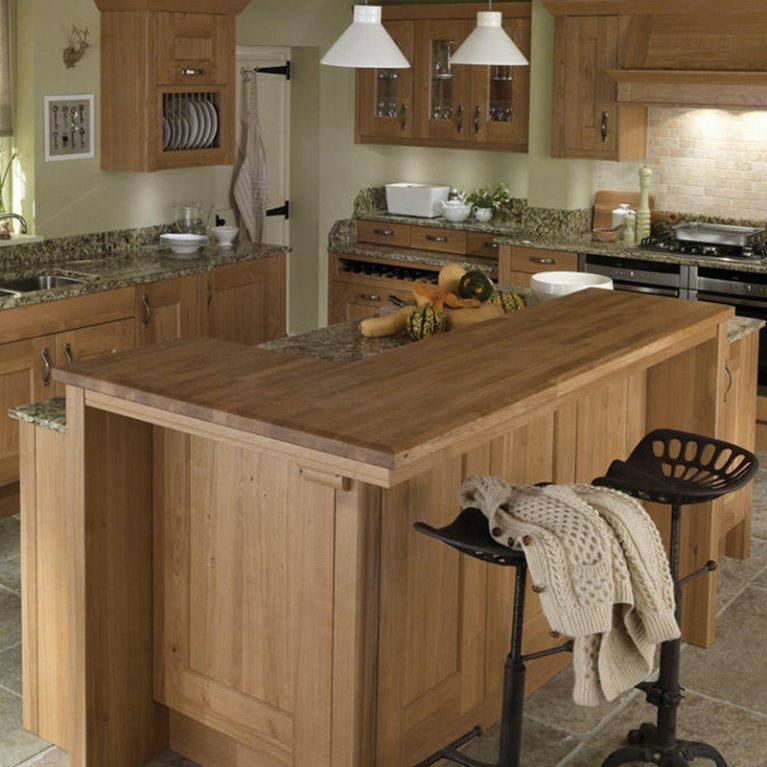 We can also offer you our expert advice on how to style your new kitchen and then fit it to the highest standard for you too.